The Safe House is a state licensed, local group home for at risk (abused, neglected, abandoned, runaway, homeless, chemically dependent and economically disadvantaged) youth ages 11-17 in crisis. The Safe House provides 24-hour supervision and care by trained Youth Advocates. Out Youth Advocates provide many essential services for our young people that help them to heal, learn, and grow in a safe pro social positive culture. We are very honored and humbled to have been chosen to be a recipient of Glanbia's Charity Challenge. Your generous donation will help us provide safe, reliable, and economical transportation for our youth. Thank you for helping to make a positive, long lasting impact on the lives of at-risk youth in our community. The Walker Center is located in Gooding, Idaho and is a 47 bed adult, Gender Specific Alcohol and Drug treatment Program offering Medically Monitored Withdrawal Management (detoxification) and Residential Treatment based on a 28 day model emphasizing abstinence. The Walker Center has 60 employees and has been treating those that suffer from alcohol and drug addition for 40 years. This grant will be used to install a wireless network and purchase laptop computers with bluetooth capability and television monitors for the counselors and supervisors for offices, group rooms, and conference rooms. This grant will help us meet our goals of counselor and staff increased mobility and efficiency, reduction in frustration due to technology barriers for clients/family and staff, increased client/family satisfaction with educational presentations, and increased training and skill building with counselor by Clnical Supervisors. For the last 44 years, Magic valley Rehabilitation Services, Inc. has provided life skills training, job placement, employment support and other services to more than 7,600 adults with disabilities all over Southern Idaho. Everything we do supports our mission of helping our participants become self-reliant, independent, and integrated as they can be in their respective communities. 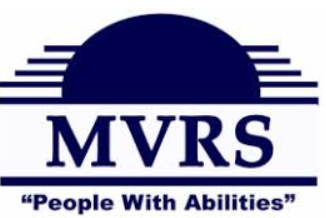 Many individuals we serve at MVRS can't access third party sponsorship for their services, don't have the ability to pay for services themselves, or are service recipients whose limited agency budgets (Medicaid, Vocational Rehabilitation, etc.) don't allow them to participate as fully as they wish and/or need in our Developmental Therapy, Adult Day Health, Employment and other programs. With this generous support from the Glanbia Charity Challenge, we will be able to offer services and support to so many more People With Abilities. The Fifth Judicial District CASA Program recuits, trains, and supports community colunteers to advocate for the best intereset of abused and neglected children in our district. Money received from the Glanbia Charity Challenege will be used to recruit an additional 15 volunteer advocates. These advocates will investigate an abused child's situation and report their findings and recommendations to the courts. Abused children with a CASA volunteer receive more services and spend less time in foster care. To give and abused child a CASA Advocate is givine them HOPE. Oregon trail PTA is made up of parent volunteers who are passionate about making a difference in our childrens' school. We are proud to be a support to the staff and work to make the school a better place. Over the years the children have been hoping for swings to be added to their playground. Because of the incredible benefits in development that swings provide, we felt it was important to raiase money for this cause. Glanbia's generous donation will pay for the cost of ten swings, including two ADA swings, as well as professional installation and bark.We are very appreciative to improve the school playground for our children!